Elevated between 3117 ft and 4757 ft, the Ski Resort is the highest elevated Ski Resorts in Baden-Württemberg. The vertical drop from summit to base is 1640 ft. The average difference in altitude between base and summit of Ski Resorts in Germany is 712 ft. Most runs are therefore relatively long. Liftverbund Feldberg is the the best rated ski resort in Germany. 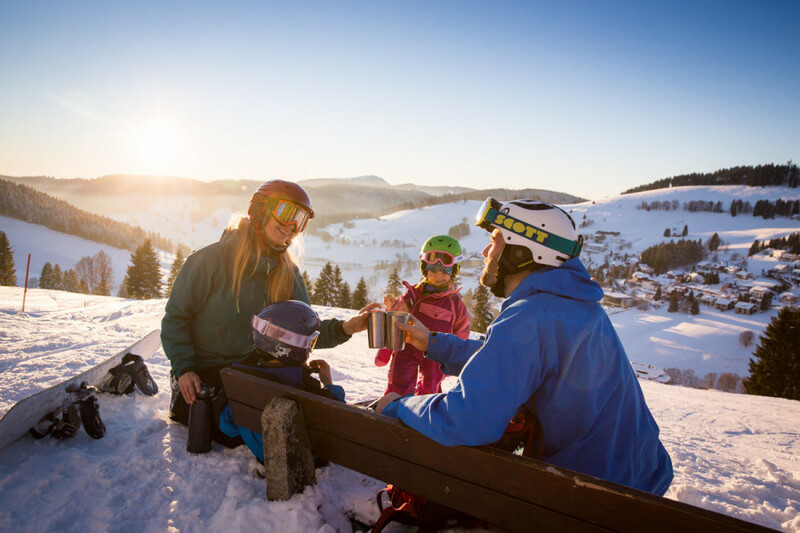 It is among the 3 most family-friendly ski Resorts in Baden-Württemberg. Season starts on Dec 14 and ends on Apr 28 (135 days). Average season duration in Germany is 85 days. Average snow depth during the season (Dec 14 to Apr 28) is 20 " at summit elevation and 8 " at base elevation. Snow coverage is usually best during January, offering an average snow depth of 25 " at summit elevation and 13 " at the base. Therefore Liftverbund Feldberg is among the 10 ski Resorts with best snow conditions in Baden-Württemberg. Liftverbund Feldberg features 49 sunny days on average per season. 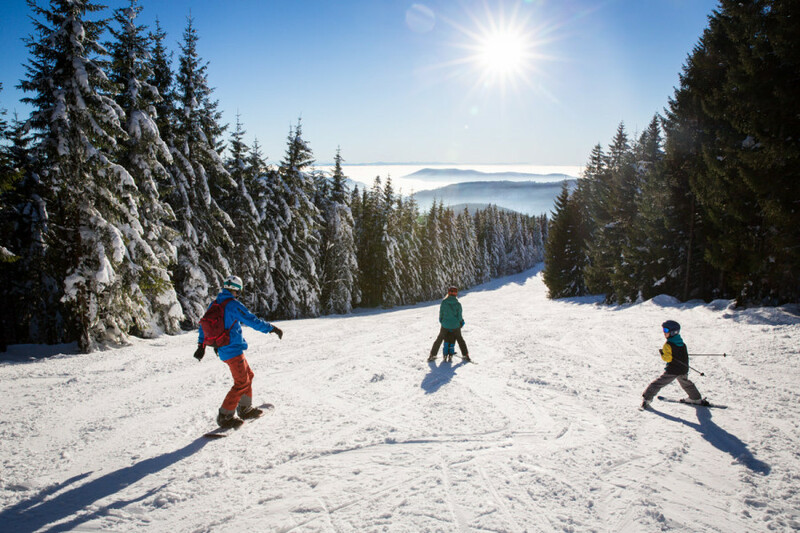 The average for all ski Resorts in Germany is 50 sunny days. April is the sunniest month with an average of 19 sunny days. 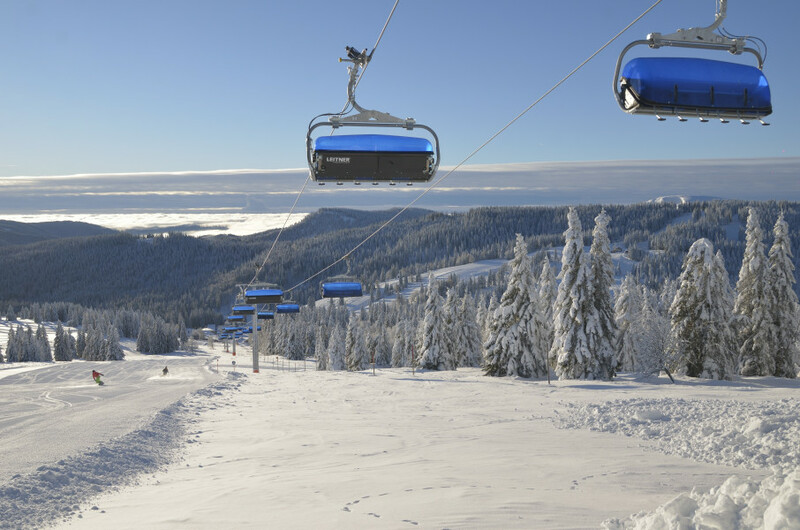 Offering 39 miles of slopes and terrain, Liftverbund Feldberg is the largest ski resort in Germany. 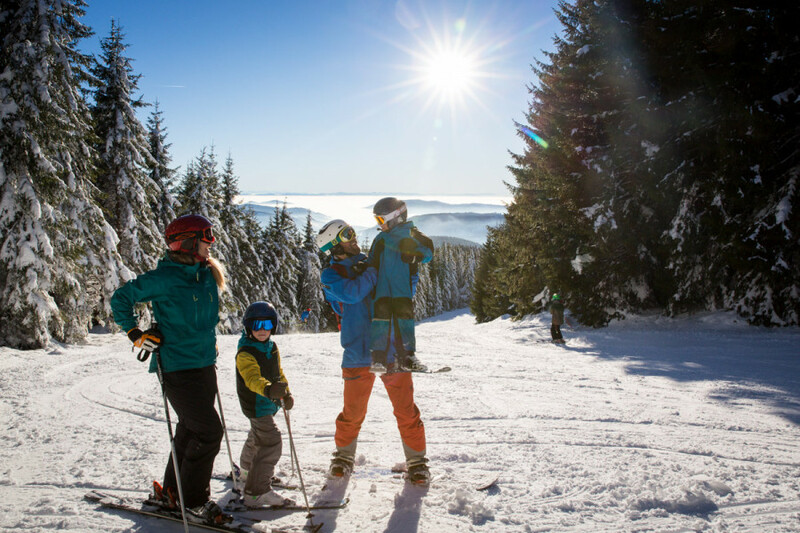 Towering at 1,450 meters, the Feldberg forms the central point of the High Black Forest winter sports region. 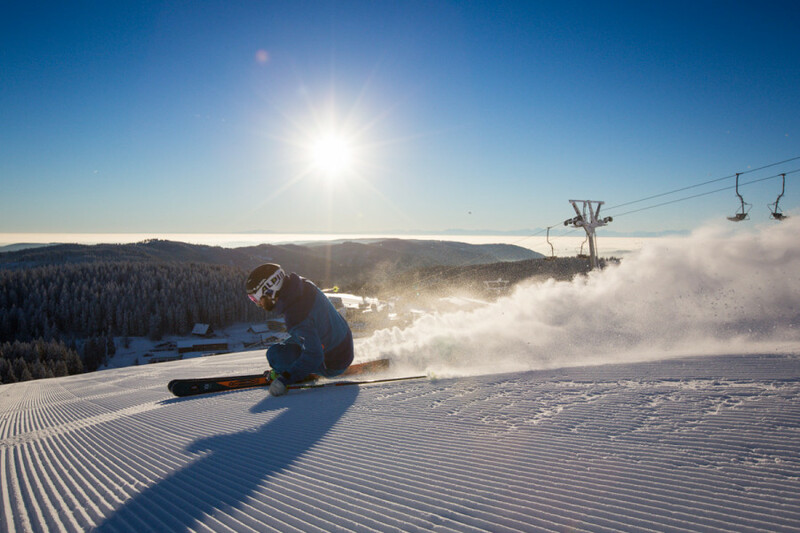 The Feldberg ski region links the core ski area with 14 lifts and around 25 kilometres of runs served by the Feldbergbahn lifts with additional lifts in Altglashütten, Menzenschwand, Muggenbrunn, Todtnauberg, Notschrei and Belchen. Overall, the region offers skiers and snowboarders 35 lifts as well as some 61 kilometres of trails. As around 6 kilometres of the network are also served by snowmaking facilities, winter sports are guaranteed here even if the white stuff is in thin supply on the Feldberg. Beginners are best served starting out on the blue-marked runs in the main ski area. From the Seebuck at 1,450 m, the floodlit trail no. 4 runs to the valley station of the Seebuck chairlift or on via the blue-marked trail no. 5 alongside the surface lift and past Hebelhof to the valley station of surface lift F below the Grafenmatt. From there, you can continue on to the blue-marked trail no. 8 down to the valley station of surface lift E. If you then take surface lift G I up the Grafenmatt to 1,380 m, you can link directly onto trail nos. 8 or 9 which guide you down to the valley station of chairlift K on the Grafenmatt. From the mountain station of this lift, you can then explore the blue-marked run no. 15, though this trail is only accessible from the black-marked no. 14 and therefore not suitable for beginners. Advanced skiers can savour several worthwhile red-marked runs in the area around the Seebuck. From here, you first have to take a chairlift up the mountain to join with trail nos. 1, 2 and 3, all of which offer interesting routes as they wind their way back into the valley. In the area below the Grafenmatt, there are further runs to explore for advanced skiers and snowboarders. From an altitude of 1,380 m, run nos. 11 and 12 provide an exhilarating descent back down into the valley. There are another two trails waiting to be explored by surface lifts E and F.
Advanced skiers would also be well advised to try the black-marked runs on Grafenmatt. There are several challenging runs taking lots of tough turns alongside the chairlift and surface lift H. In addition, trail no. 14 offers floodlit skiing for the night owls among you. 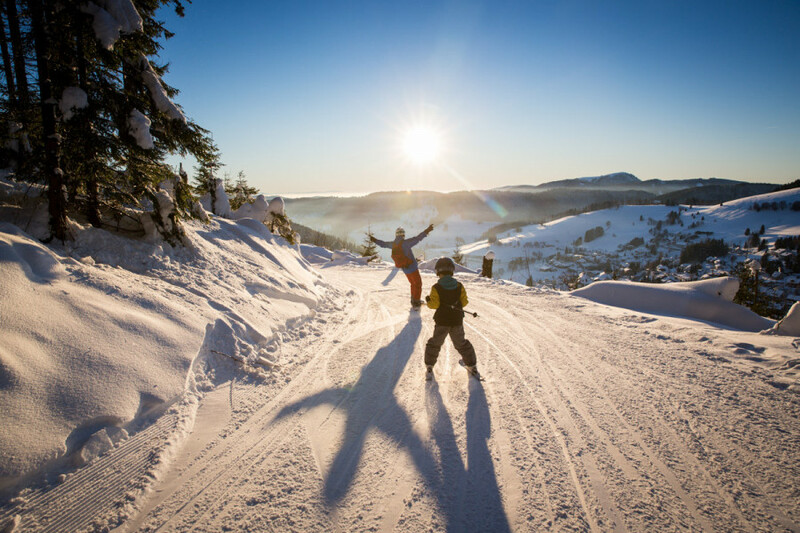 At Feldberg Snowpark, snowboarders and freestyle skiers can look forward Germany’s longest jib line as well as numerous other park features for hitting your favourite moves and tricks. “Berggasthof Wasmer and Südhang” are two great options for food and refreshments, and both restaurants boast an inviting sun deck. The après-ski bar Hasenstall also serves snacks from midday onwards. The “Rothausabfahrt” is the longest run in the entire ski area. It starts on the Seebuck and descends down the mountain for around three kilometres. Several of the runs here are also floodlit, allowing skiers and snowboards of all levels to take to the slopes after the sun sets. This includes the runs from the Seebuck as well as the black-marked run no. 14 on the Grafenmatt. There is a white-knuckle sled run down from the Schwarzenbachlift in Altglashütten which can be accessed from a 100-meter conveyor belt lift. There is another 150-meter sled run in Feldberg town behind the “Haus der Natur”. However, the real highlight for sledding fans in undoubtedly the 3.2-kilometre run from the Todtnauer Hütte to the Rotenbacherrank. 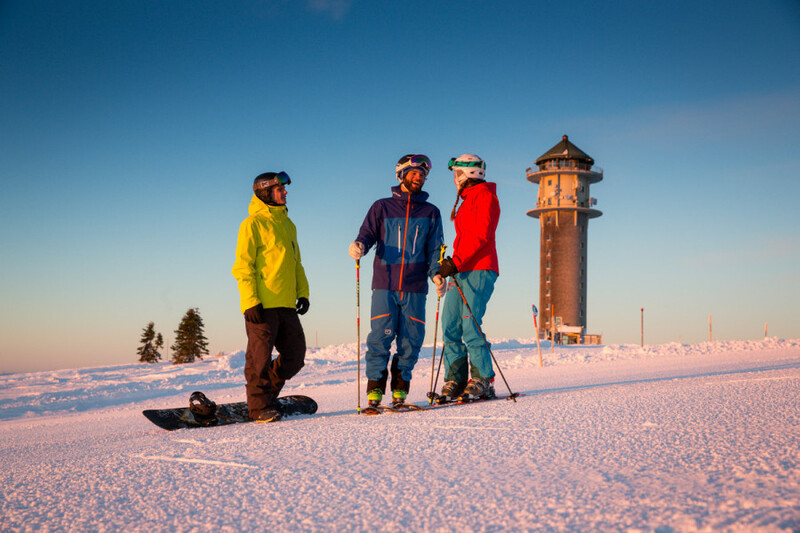 If you are feeling brave, you can even start on the Feldberg summit and sled down from there to the Todtnauer Hütte. Ice skating is also possible in the Feldberghalle in Altglashütten, a facility that also has a floodlit rink, as well as at the ice arena in Titisee, some 15 kilometres away. There are also plenty of après-ski options available in and around the ski resort. The Feldberg umbrella bar exudes a feel-good atmosphere and serves cool drinks by the 6-person chair lift on the Seebuck. The Hasenstall and Pub O’je in August-Euler-Platz are also great destinations for a drink or two in good company. If you are travelling to the ski resort by car, you can either take the A5 Frankfurt – Basel or A81 Stuttgart – Singen to the Feldberg. Via the A5, leave the motorway at the Freiburg Stadtmitte exit and then follow the B31 towards Titisee-Neustadt. Then continue on the B317 towards Basel until you reach Feldberg. Via the A81, take the Donaueschingen exit and follow the B31 for Freiburg/Titisee-Neustadt. After that, continue on the B317 to Basel until you reach Feldberg. If you opt for the Basel border crossing from Switzerland, take the A5 towards Karlsruhe and turn off at the Lörrach exit. At the first traffic lights, head left towards Schopfheim and continue on via Schönau and Todtnau to Feldberg. Feldberg is also easy to reach by rail. Trains to Feldberg leave from Freiburg station every 50 minutes or so. You have to alight at Altglashütten-Flakau station to access the town centre, or at Bärental station if you want to head straight for the summit of the Feldberg. To do so, take bus 7300 from the station. 1. Which train station should I take a drop to reach the best place for sledging? What time do the lifts at Feldberg open?